In 1678, a beautiful mahogany bay Karaman colt is foaled in a stable on a feudal landholding in the Balkans. Yet this is no ordinary colt: this is a colt with a destiny. 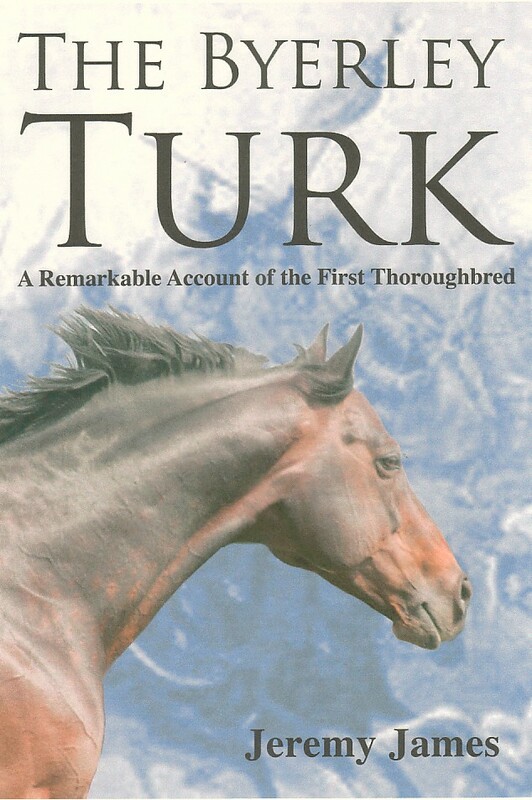 He is destined to become the magnificent Byerley Turk, the first Foundation Sire of the thoroughbred line. From his early days the young horse is hard-schooled in the disciplines of war. In 1683, diamond and ruby-studded harness in the ranks of the glittering Ottoman sipahi, he fights as a charger at the Sieve of Vienna. Seized as an exotic prize from the Siege of Buda three years later, he is ridden across Europe to the Royal Barracks of King James II in Hounslow, England, where he is acquired in 1687 by Captain Robert Byerley. In 1690, as a charger in the ranks of King William's army, he faces sabre and cannon at the Battle of the Boyne, but not before romping past the winning post at Downroyal and snatching the King's Plate. After two years of bitter campaigning in Ireland he is shipped back to England where his owner, now Colonel of his regiment, retires him to Goldsborough Hall in Yorkshire. Here the horse is put to stud and begins a long well-earned retirement. He died at the age of twenty-five in 1703. No stone marks his grave. Until now his story has never been told. But on racecourses throughout the world today, his blood thunders on.